On Sunday morning, I woke-up to the sound of rain water overflowing my gutters and crashing on to the footpath below. 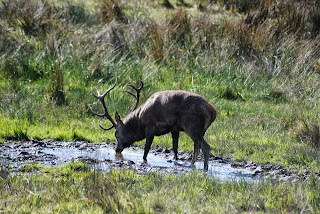 First, I thought it's time I clear out my gutters, and then, I thought our Deer Rut event was going to be a wash-out. However, as we travelled towards Killarney the rain abated and the clouds began to allow that clean crisp light of the morning through. Things continued on the up after that. Before the event happened at all, we knew it was shaping up to be a good one. 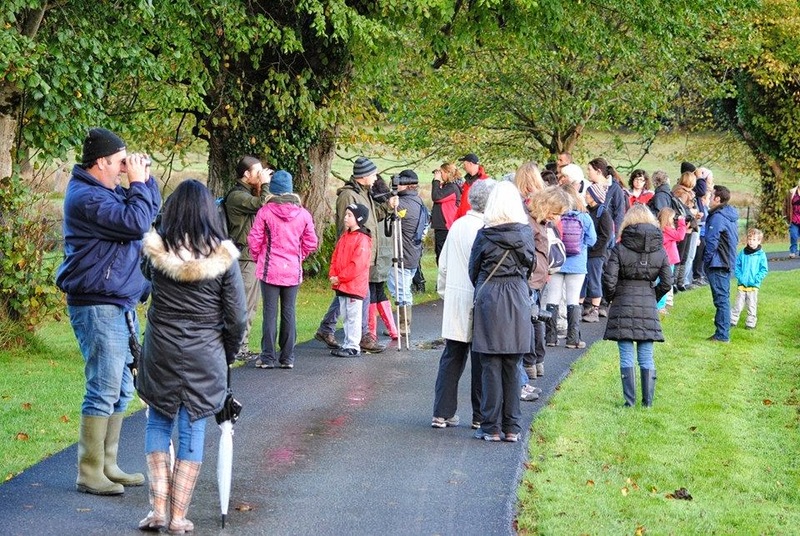 Even though, in the lead up to it, our Inbox and Facebook page were hopping with enquiries and expressions of interest we still were still astonished at the size of the crowd who joined us in the Knockreer Demesne that morning. Kicking off a little after 9am we counted over 50 people and a little later a few latecomers bumped up our numbers even more. Colin Heaslip, of the Tralee Wetlands Centre and branch committee member, lead the group. 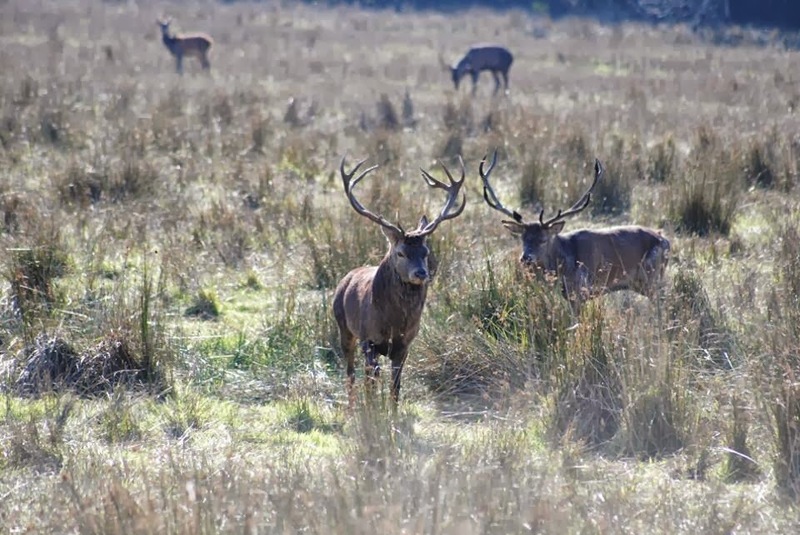 Previously a field studies instructor in the Killarney National Park Education Centre, Colin provided the group with fascinating insights into both the native Red Deer and the Sika Deer as well as the surrounding ecology of the parkland. 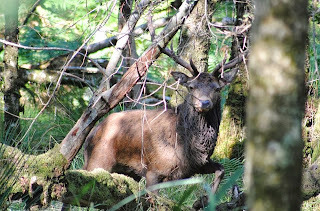 As we strolled along the pathways, we could hear the Stags roaring the distance. 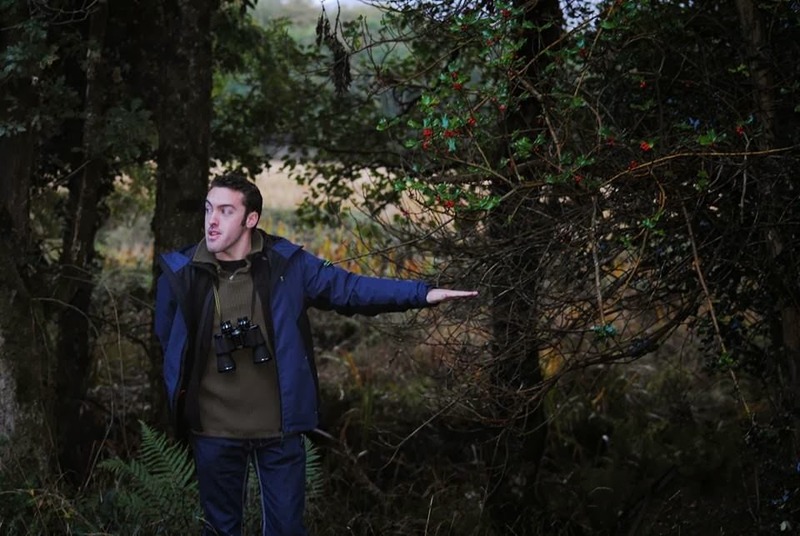 These deep guttural sounds meant to attract females (hinds) and warn the male usurpers were spine-tingling to hear echoing through the trees. It wasn't long before we started to see deer. First, a group of Sikas way off to our left, then just ahead of the group, a small group of Red Deer moved out of a small thicket into the grass-land. 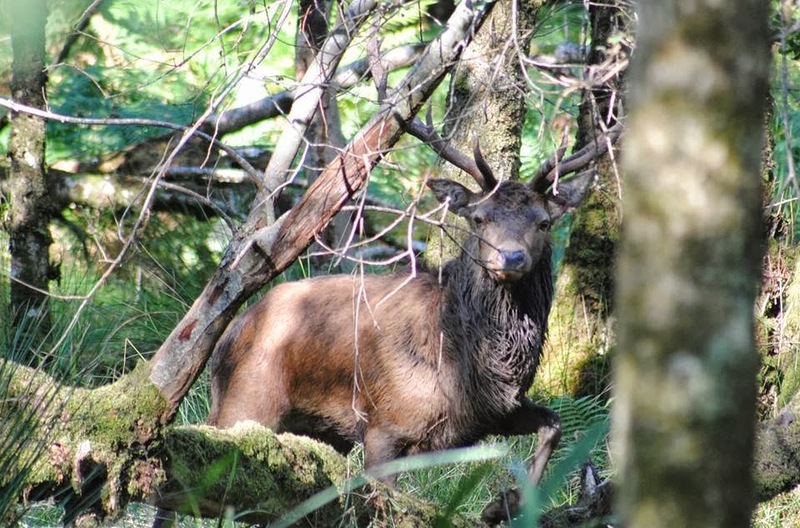 This was the first stag and his harem that spotted but would not be the last. Soon the sightings were coming from all directions. 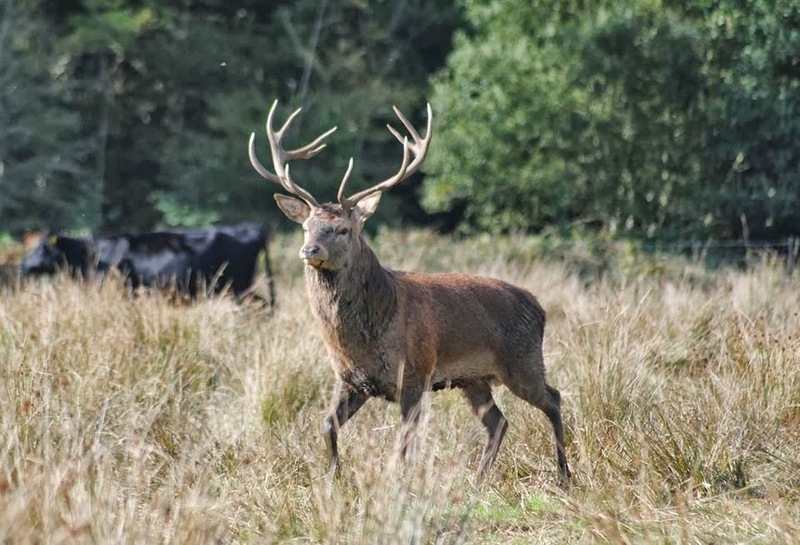 Deer were emerging from the trees and disappearing just as quick and others wandered through tall grasses with only their antlers betraying their presence. There was an edginess to the deer, they were constantly on the move avoiding contact with other groups and reacting to all sounds around the park. 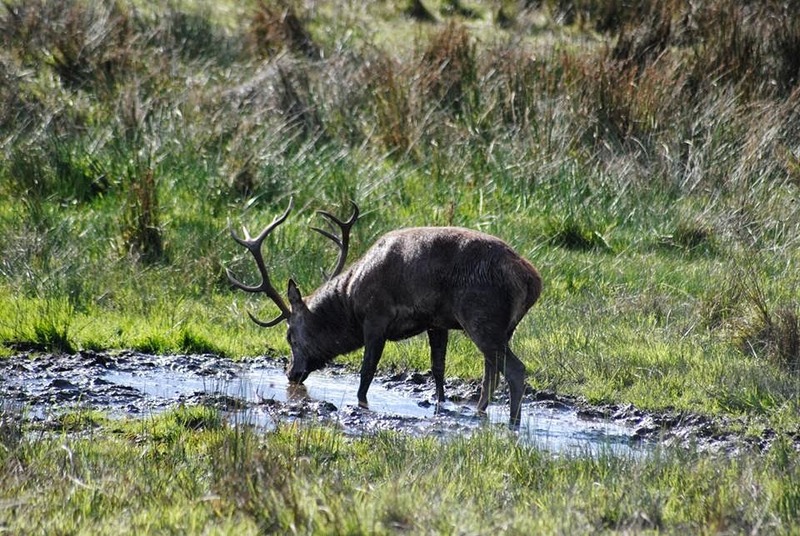 The rutting season was drawing to the close and it seemed most of the battles had already taken place. Now, it was time to heal wounds and live to rut another day. The Branch wishes to express our sincere thanks to Colin for leading and sharing his knowledge and passion for these magnificent animals. Also to Fred O'Sullivan for providing the beautiful images you see here. 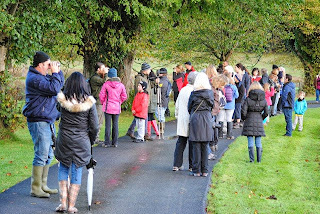 And of course a big thank you to the enthusiastic group of people who joined on the day. We hope to see you all again soon.